London is preparing to host a number of high profile matches in the coming weeks including some crucial Champions League and English Premier League matches. The array of fixtures sure make London a busiest destiny until this season’s football action is wrapped up. 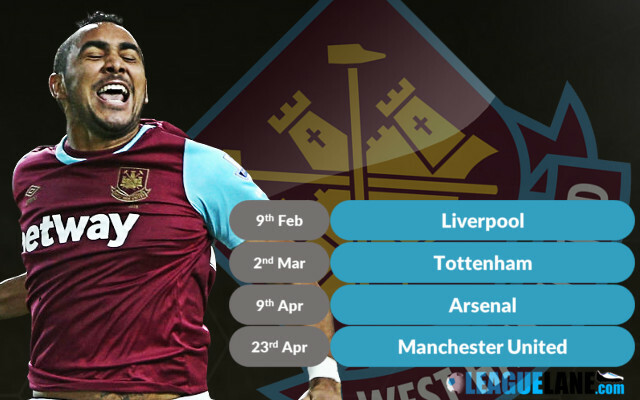 We take a look at the major London based teams Arsenal, Chelsea, Tottenham Hotspur and West Ham and see the vital clashes that each of them will be hosting that is guaranteed to excite the fans and neutrals alike in the coming months. West Ham United are having a strong run in the English Premier League this season and they are still competing in the FA Cup. The exiting run of fixtures starts next Tuesday as they host Jurgen Klopp’s Liverpool in the FA Cup fourth round replay. Then comes the London derby against Tottenham on 2nd March which is followed by another derby against Arsenal on 9th of April. Their next high profile they host is against Manchester United on 23rd April, which may well decide who goes into the final four at the end of the season.